In short, everybody needs a will or trust. Some people believe that because they only have a few assets, or because they told their children how their assets are to be divided, they don't need either. If you have kids, a home, pets or personal possession, you need a will. If you choose to leave something to a relative or a friend, you need a will. In order to make your final wishes clear, you need a will. Too many put off making a will, and your loved ones suffer. It is only by having a will (or trust) that we can be certain that everything we want to happen when we pass on will actually happen, and that the courts won't make that decision for us. Ensure that your property and valuable possessions will be distributed as you wish. Otherwise, the law will decide for you. If you have minor children, you will want to appoint a guardian for your children in the event of the death of both parents. Specify your funeral wishes. By stating your funeral wishes in your will, you will reduce stress for loved ones and ensure that your body is treated the way you desire (for example, burial vs. cremation). Appoint an executor to your estate. 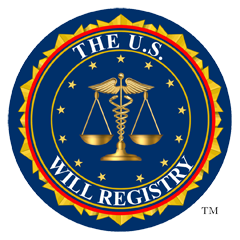 An executor is responsible for carrying out the terms of the will. Responsibilities may include collecting together all assets of the estate, making sure all debts and taxes are paid and transfering property to beneficiaries. Expedite the legal process. A legal will can reduce the costs of settling an estate and speed up the process. Reduce confusion and prevent family disagreements during a stressful and emotionally difficult time. Everyone has heard the terms "will" and "trust," but few understand the differences between them. Both are estate planning documents but they serve different purposes, and they work in conjunction with each other to complete your estate plan. While a trust goes into effect once you create it, a will only goes into effect after you pass. A will is a document that directs who will receive your property upon your death and appoints a legal representative to carry out your wishes. On the other hand, a trust can begin distributing property prior to death, at death or afterwards. A trust is a legal arrangement through which a designated person (or an institution, law firm or bank), called a "trustee," holds legal title to property for another person, called a "beneficiary." Typically a trust has two types of beneficiaries -- one that receives income during their life, and another that receives whatever is left over after the first set of beneficiaries passes. A will covers any property that is solely in your name upon your passing; it does not cover property held in a trust or joint tenancy. A trust, on the other hand, covers only property that has been transferred to the trust. In order for property to be included in a trust, it must be put in the name of the trust. A will must go through probate but a trust doesn't. That means a court system will oversee the administration of the will to ensure the will is valid and to assure that the property is distributed the way the deceased wanted. A trust avoids probate which will save time and money and stress on the family. Also keep in mind that a trust will remain private while a will becomes part of public record. Wills and trusts each have their advantages and disadvantages. A trust can be used in planning for disability and provide savings on taxes. 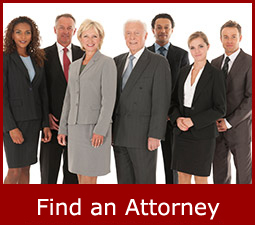 Based on your assets, and how they are titled, an estate attorney is the best person to advise which one will serve your estate planning needs.